Now FREE! BimboBooth, by the creators of AgingBooth and FatBooth (Top 25 All-Time Paid Apps). 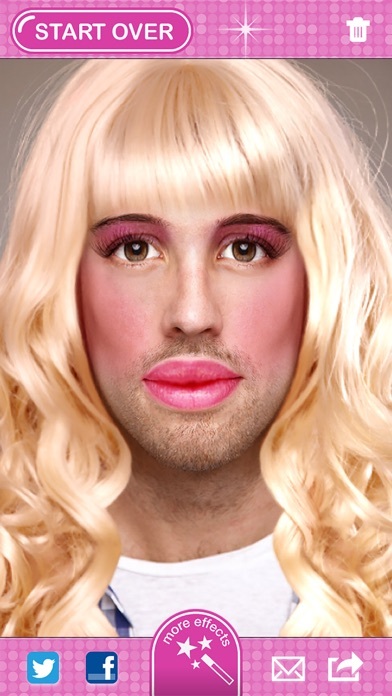 You've always secretly wondered what you would look like if you were a beautiful blonde girl with luscious lips? Don’t worry, nobody will judge you here… On the contrary! 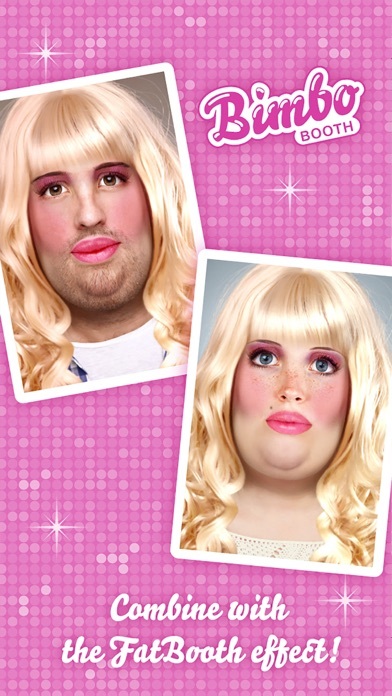 Thanks to BimboBooth you can finally realize your dream! False eyelashes, glossy lipstick, makeup, plumped lips, refined nose... all this without having to go under the knife. So what would you look like if you were a bimbo? And what about your friends and colleagues? Your family? Brother, sister, mother, father... everyone should go through it! To bimbo or not to be? That is the real question! 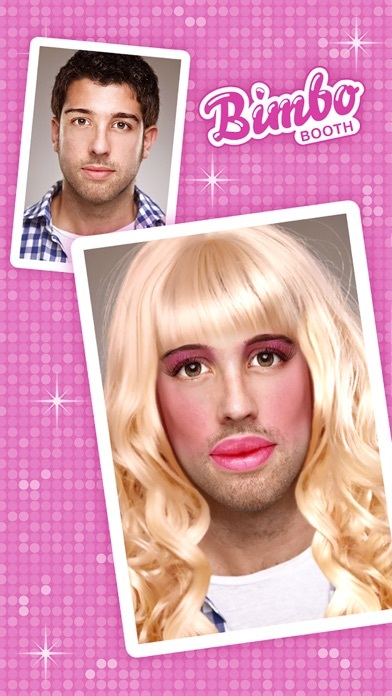 Tip: Combine the 'Bimbo' effect with FatBooth or AgingBooth in the ‘More effects’ tab. 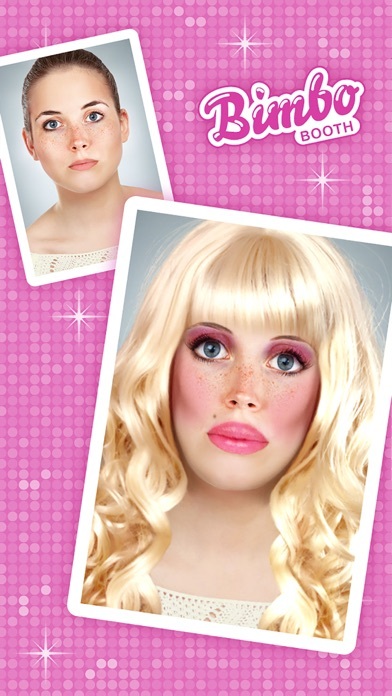 BimboBooth is a universal app, for iPhone, iPod Touch & iPad, made for entertainment purposes only.